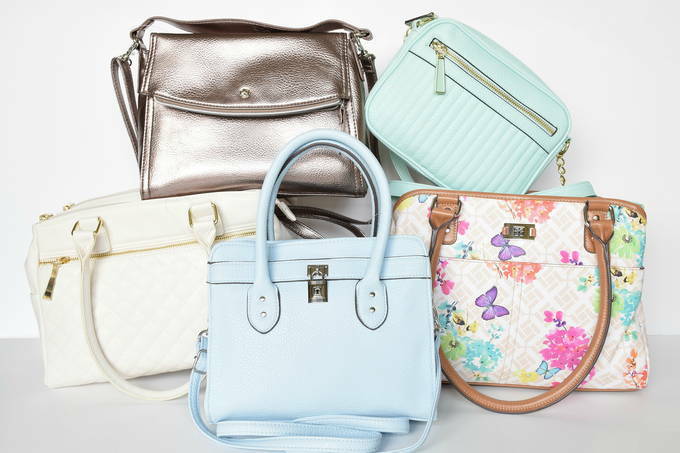 I knooow, it’s so hard to choose a favorite from these spring purses. I love the sweet pastel colors. They’re so chic and classy. How can you pick just one? Adorable. 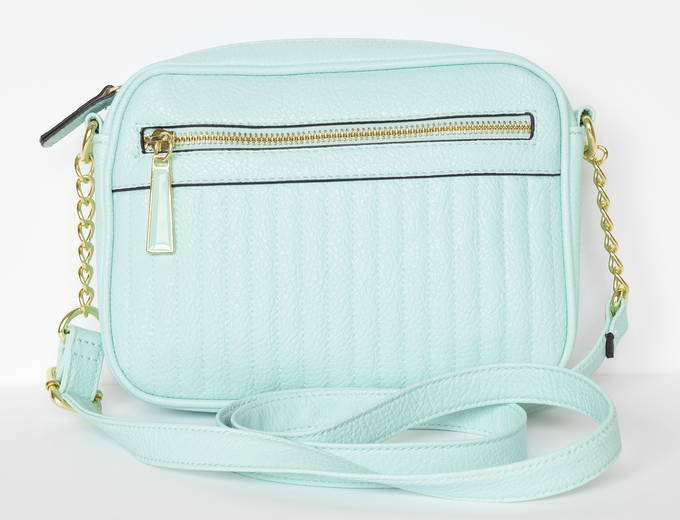 This blue purse is super cute. The color is amazing and I like the silver chain. It has a long adjustable strap and handles that are 5” long. The purse measures 9” wide, 7½” high, and 3” deep. The lock on the front is decorative. The closure is magnetic. 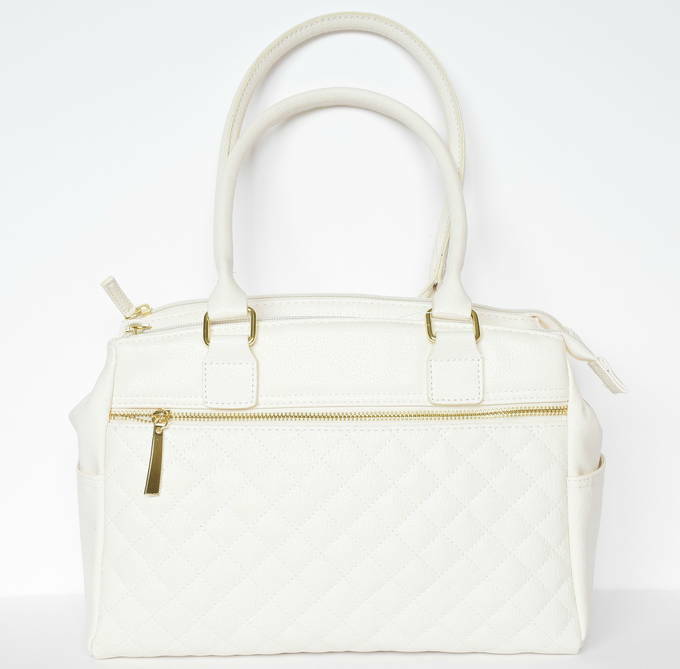 It has two main compartments and one inside zipper pocket. 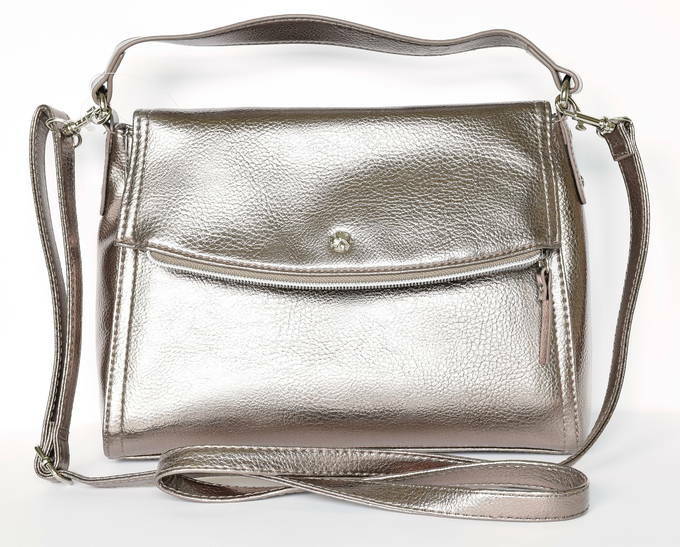 This metallic purse is pewter but looks bronzish. I love the large hidden zipper compartment, the color, and the zipper across the front. There is a main compartment with a zipper pocket on the inside, and 2 pocket slots. It has an adjustable strap and is 10” wide, 8” tall, and 3½” deep. O.M.G. – So pretty. 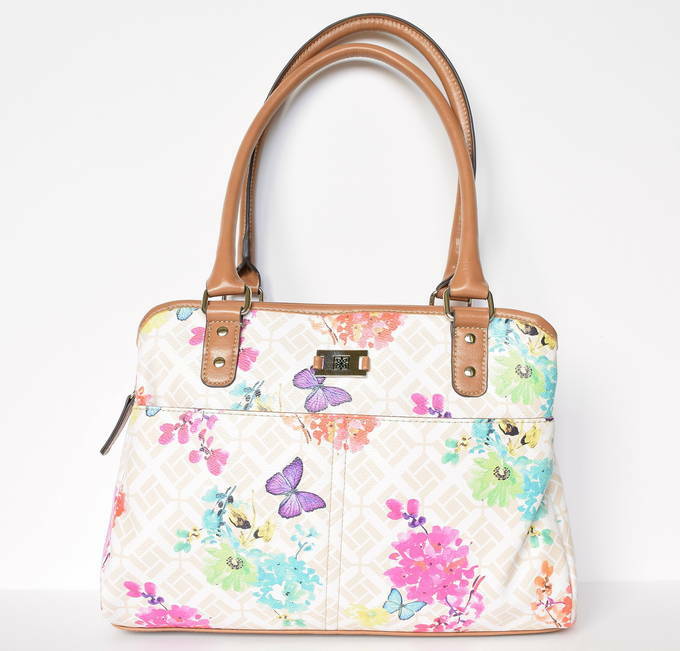 Love love this sweet butterfly purse – especially how colorful it is. Really like the large main compartment with a zipper pocket inside. This purse is obviously my favorite. The handles are 10” high, while the purse is 12” wide, 9” high, and 4” deep. It has 2 magnetic closures for 2 side compartments, and slot pockets on the outside. This crossbody bag is a fun color and design. It has a long adjustable strap with pretty gold chains. The purse is 9” wide, 6½” tall, and 2” deep. There is one main compartment and a zipper pocket on the inside and outside. They also had it in hot pink and coral. They named this satchel after me! Yeah! Since I like to sew, the quilting on the front is perfect. It’s large with 3 separate main compartments, and is 12” wide, 8½” tall, and 5½” deep. The outside has one zipper pocket, a large slot, and two side pockets. The inside has 1 zipper and 2 small pockets. With the three main compartments you can keep very organized. One of these purses may inspire you to build a spring outfit around it. I know you’ll look beautiful and chic with any one you choose. Is the Butterfly Dome purse still available? I absolutely love this purse and the design. Yes, I like that purse. But, I don’t see it at Walmart.com. You can also check at your local Walmart.